Woke to find the cat (probably Lolly, grr) had attacked the sweater over night. Several stitches were snagged. One ply of one stitch was licked clean in half. 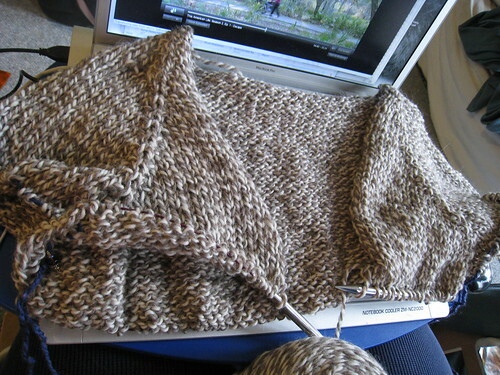 I went ahead and completed the yoke anyway.